Preserving a global brand identity while adding a whole lot of web tech and local social engagement to the equation is always a challenge. Doing it right is our job! We completely redesigned the brand’s web portal and introduced an activation combining street action with digital engagement. We delivered a completely redesigned brand web portal based on Mini Cooper’s global guidelines, adapted for the local market. Our overhaul of the web portal resulted in a vast improvement in consumer experience, as reflected in website statistics. By deploying the latest Web 2.0 technology, we delivered a smooth and functional website able to meet the increased consumer demand for the Mini Cooper brand. At the same time, we launched a Facebook application coupled with full-blown below-the-line activity along high streets in Athens and Thessaloniki. 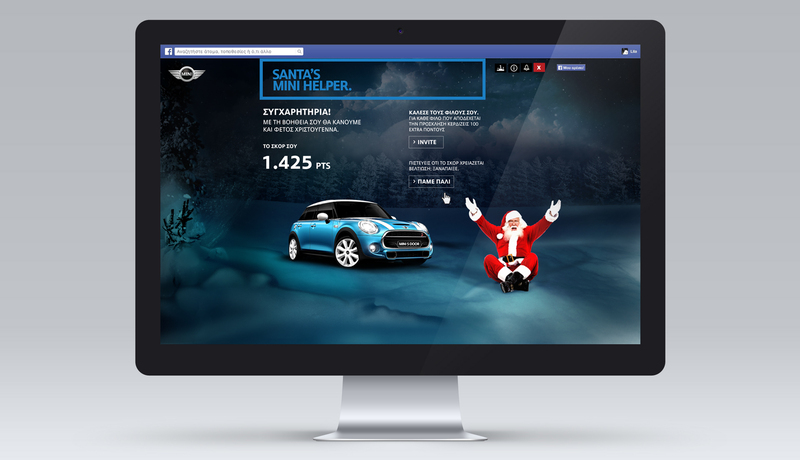 Consumers had to spot a Mini Cooper guised as a reindeer, take a snapshot of it, and upload it to Facebook with their comments. Success was immense and had the desired increase in showroom traffic. to MINI fans, the new more spacious five door MINI. The game was on. Santa’s little helpers and his reindeers where all exhausted, still he needed to deliver the Christmas gifts. 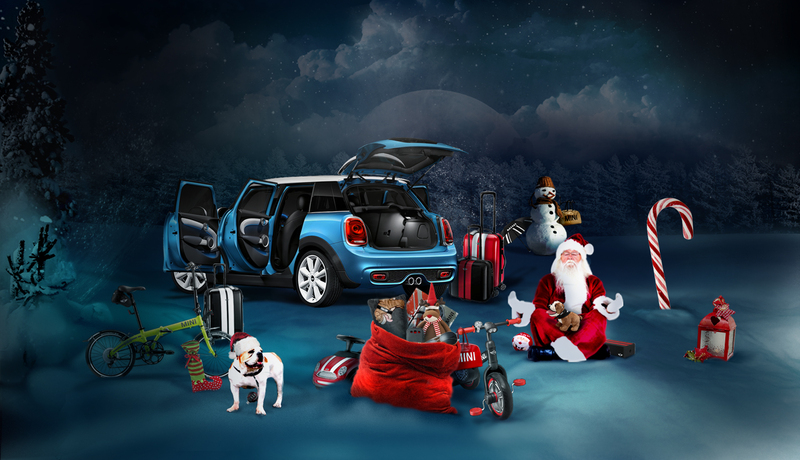 Users helped Santa load the luggage space of the new MINI with all the presents and start the Xmas delivery on time. Users were more than engaged. They participated and earned MINI branded gifts themselves as a reward. Admine’s reward was even greater. MINI’s headquarters loved the application and launched it to the Austrian market also. to celebrate and spread the holiday spirit. our audience’s interest and create a playful mood.